“Transparency” and “accountability” are familiar buzzwords. Like salt and pepper, they pop up on nearly every list of ingredients for sound policy and good governance. But, as Ilona Kickbusch and Suerie Moon of the Graduate Institute Global Health Centre point out, their details are rarely specified: transparency for what? Accountability to whom? On Tuesday afternoon, those not busy casting a vote for the next World Health Organization director general got the chance to dig into these questions at a panel co-sponsored by the Graduate Institute and FIND. In particular, discussion focused on transparency in terms of public access to two types of information: drug R&D costs and clinical trial data. Tenu Avafia, who co-led the Secretariat for the UN Secretary-General’s High-Level Panel (HLP) on Access to Medicines at the UN Development Programme (UNDP), kicked things off at the 23 May event by presenting the HLP’s recommendations for promoting transparency. But though the HLP recommendations were addressed to governments and WHO, discussion quickly focused in on the role and responsibilities of the pharmaceutical industry. Clemens-Martin Auer, Director-General at the Austrian Federal Ministry of Health, testified that Global North countries are now being priced out of access to medicines, just as Global South countries have long been. He personally “woke up” to this reality while attending an EU Ministers council, when the Health Minister of “a large EU member state” leaned over and asked if Dr. Auer could share a supply of cancer drugs needed to treat severe acute patients in the Minister’s country since the Ministry could not afford to purchase them. Auer says he (and his colleagues) are to blame as well; that this state of affairs is as much a product of policy failures as of market failures. Austria is a so-called “price-maker country”—i.e. one of the national markets that pharmaceutical companies use to set prices. But Auer suggests that policymakers are beginning to wise up; for example, Austria is collaborating with the BeNeLux countries to enhance their market position. Jamie Love, director of Knowledge Ecology International (KEI), also took up the relationship between R&D costs and pricing. He argued that the lack of transparency about R&D costs is a strategic artifact of the pharmaceutical industry’s attempt to have it both ways. In other words, pharmaceutical companies justify big profits by saying that they are necessary if we want investment in R&D; but then they won’t say how much they spend on R&D and then turn around justify their silence by saying that prices are not based on R&D cost. Love also accused industry of essentially ‘cooking the books’ on their R&D costs (e.g. by counting in the costs of everything from raw materials and marketing), and described some of KEI’s research challenging a recent industry-sponsored study on drug costs (DeMasi et al 2016). For example, KEI estimated the R&D costs for all 56 new cancers drugs developed over the past seven years and found that each cost below DeMasi’s average price. Debate on continued over into the Q&A session, when an audience member who identified himself as a former pharmaceutical industry employee challenged the idea that information on R&D costs, drugs in development, clinical trials underway, etc. is not “publicly available”. He pointed out that, as an industry professional, he always kept tabs on competitors’ activities and prices and, furthermore, that this information was routinely gathered by, and could be purchased from, investment firms, etc. In his opinion, the problem is not that the pharmaceutical industry doesn’t disclose information; it’s that the public health community doesn’t know where to look for it. Love fielded the question and quickly pointed out that there is a difference between “commercially available” and “publicly available” information—namely, information which must be purchased for thousands of dollars from investment firms and which cannot be disseminated beyond the purchaser is not “publicly available”. But while the former industry employee’s interjection was challenged by other audience members and panelists, it was reminiscent of the real gaps in perspective and interpretation that can hinder dialogue among industry members, policymakers, and activists. Transparency may begin with making sure that everyone is clear on where they’re starting from. Fumie Griego, assistant director general for the International Federation of Pharmaceutical Manufacturers and Associations (IFPMA), was the industry’s voice on the panel. Her approach towards transparency was more ambivalent. Transparency can be helpful “if it means that the right type of information is being shared at the right time,” she said. But, she argued, “context matters.” The pharmaceutical industry is research-based, but it is also based on market competition between companies. Companies must balance the value of transparency with the need to protect proprietary information, confidential business practices, and intellectual property; steer clear of antitrust issues; and preserve partner and patient confidentiality. Moreover, Griego suggested that before touting transparency as the solution, it needs to be clear what problem is being target. “If the problem is lack of information, transparency will help; if the problem comes from other sources, it won’t. And she questioned the extent to which lack of information, or even drugs costs, really are the problem. Instead, she pointed out, drugs account for 15% or less of health costs in OECD (Organization for Economic Cooperation and Development) countries; in developing countries, weak health systems remain the major barrier to accessing care. Transparency around clinical trial data seemed to be the less contentious of the two issues. 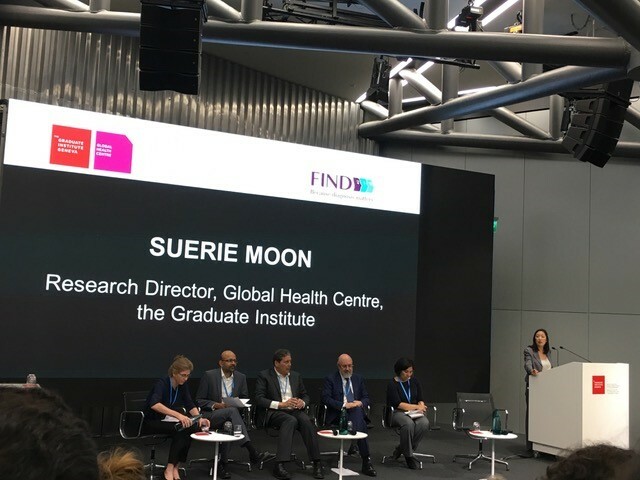 Vasee Moorthy (coordinator for Research, Ethics & Knowledge Uptake in the Health Systems and Innovation Cluster at WHO) explained at, that present, only about 50% of clinical trial data is actually reported. This presents problems at every level. Patients and physicians have difficulty to access information that may aid in treatment; regulators have difficulty determining which trials are being conducted where; and researchers have difficulty getting a comprehensive picture of the work that has already been done (which may lead to wasted resources). But Moorthy emphasizes that gaps in clinical trial data reporting “is not a question of good guys vs. bad guys”; rather, it’s a question of standards, incentives, systems, and enforcement. Meanwhile, progress is already underway. Last week, WHO announced that some of the world’s largest funders of medical research have agreed to require that all clinical trials they fund will publically disclose data on WHO’s registry platform within one year of the trial’s conclusion. In addition to registering results of current and future trials, WHO is asking all those conducting clinical trials to provide timely summaries of their results and protocols, support systems to monitor compliance, and make the results of past, unreported clinical trials available. Although voluntary, this agreement is consistent with the HLP’s recommendation that governments require all trials data to be made public. And Moorthy points out that this requirement already exists in the US and EU, which means that compliance with WHO’s proposals actually reduces legal risk for pharmaceutical companies. 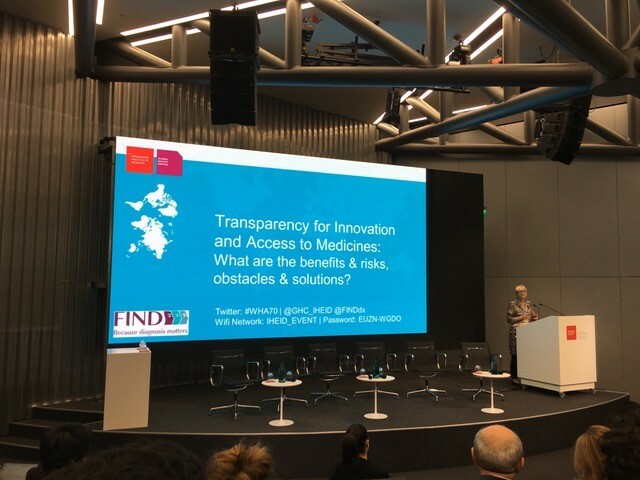 Fumie Griego of IFPMA agreed that transparency around clinical trials is desirable, saying that it would facilitate research, promote health systems reform, incentive prevention, and lead to better outcomes for patients. And while warning of the need to ensure that patients’ personal data is protected, she also reported that this is a priority for the industry, which has been working to make more, and timelier, information available over the past few years. Mara Pillinger is a PhD Candidate at George Washington University. Follow her on Twitter @mplngr.